Trying to get admission in top engineering college in Bangalore, but you lack in scores of entrance exams to fulfill the admission criteria. Then, here is an opportunity for all engineering aspirants. Here we are providing chance to the students to get direct admission in PES Institute Of Technology, Bangalore. We provide admission in PES Institute Of Technology through management quota or vacant seats. PES Institute Of Technology, Bangalore provide quality education and the right environment for students to grow their skills. PES Institute is one of those rare institutes which has always impart education in such a form that students grow into strong individuals. PES institute offers graduate, postgraduate and research courses in many departments. The institute has foundational value and a vision to build their students in such a way that they help in nation building. 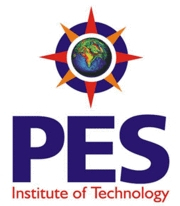 PES Institute Of Technology, Bangalore is a private institute established in 1972. The university offers the best environment for students to grow and is affiliated to Visvesvaraya Technical University(VTU), recognised by UGC, New Delhi. PES Institute Of Technology, Bangalore is one of the top institute in Karnataka and is located in Hosakerehalli, Dwaraka Nagar, Banashankari, Bangalore. PES institute has been approved by NAAC with grade ‘A’ and is one of the most reputed institute in India. CAMPUS PLACEMENT – The college has collaboration with many MNC’S like IBM, Infosys, Wipro hire students through campus placement. Every year, PES Institute students get placed in top companies and are alumni of our college. CULTURAL AND TECHNICAL FEST – Many college festivals are organised such as Epsilon,celesta,Vistas, and many more in which many competition are organised by the PES students. These techfest are of national level and is attended by large group of students from all over the state. ALUMNI MEET – Every year PES Institute organises alumni meet for passout student. Many students prefer going for other options like MS, services or business apart from working in companies. The current students get a chance to meet the alumni’s of our college and they are guided by them. They suggest students about further aspects of their career after graduation. STUDENT GROUP – Local students have constituted groups and clubs. Some of the groups are IET, Microsoft Mobile Innovation Lab and many more. With these clubs and groups students can enhance their skills and be industry ready. These groups are an essential part of the college as they organises many competition and programs. B.E in Computer Science and Engineering (CSE- 4 years). B.E in Mechanical Engineering (M.E- 4 years). B.E in Electronics and Communication Engineering (ECE- 4 years). B.E in Electrical and Electronics Engineering (EE- 4 years). B.E in Civil Engineering (CE- 4 years). B.tech Dual Specialization for 5 years. B.tech-M.tech integrated program for 5 years. M.Tech in Computer Science and Engineering for 2 years. M.Tech in Electronics and Communication Engineering for 2 years. M.Tech in Mechanical Engineering for 2 years. M.Tech in Web Technologies for 2 years. M.Tech in Power Electronics for 2 years. M.Tech in Biotechnology for 2 years. These are the graduate and postgraduate courses offered at PESIT. Some of the department also offers research course at PESIT. For further details on direct or management quota admission in PES Institute Of Technology Bangalore you may contact us on 7406010001 and we will help you in admission process.